What is a better way to camp than doing it in the beach? Simple. Camp on a beach in a secluded island. My pre-requisites for the islands that made it to this list includes clear blue water, fine white sand, and isolation and privacy factors. Each one on the list is the most accessible to Manila, but do keep it mind that since it is an island, it would still take quite some journey to get there. Needless to say, a boat is obviously required to reach the place. Also do remember that since it is camping at a distant island, don’t expect the luxuries of a clean toilet (or any toilet at all) or any stores to buy food. This is focused on camping on an island, so expect the rawest adventure. So anyway, mark your calendar for your next free weekend (because who needs to wait for a long weekend when adventure is out there waiting) because you’re going camping! An abandoned island with beautiful diving sites nearby including a sunken Chinese ship. Fortune Island used to be a luxurious resort for the rich and the famous back in the 90’s. 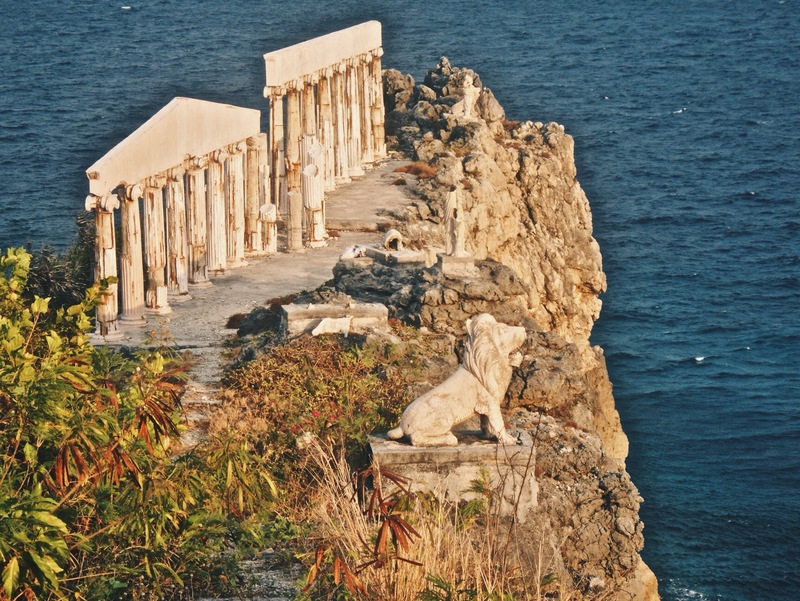 Complete with Greek inspired columns at the top of the hill on one side, and the remnants of a shipwreck inspired restaurant on the other side, this island is perfect to camp at. The island brags of turquoise water making a beautiful gradient of different shades of blue visible during the day. The white sand makes the island even more luminous, however it is a bit rocky. On a good day, cliff jumping is ideal, but keep in mind that you’re doing this at your own risk. At night if you’re lucky, watch out for sea turtles coming ashore possibly about to lay eggs. Rumors has it that there are ghosts roaming around the island from the sunken ships, so whether that’s your ideal adventure or not, it sure does add a certain charm, doesn’t it? Although there is a caretaker that watches over the island (who would gladly help you out with a bonfire), sadly, it isn’t maintained very well. People are already learning about this place so make a quick trip there before it’s too late and the entire island is trashed. Other activities: If you’re scuba certified, there are places in Nasugbu port that offers scuba diving at the wreck site. How to get there: Ride a bus to Nasugbu and get off at the town center (Jollibee/7-11/Andok’s as the landmarks). When I went there, it wasn’t quite known yet and we had to contact a boat man in advance. However, it’s now easy to find one as many would easily approach you. I won’t recommend my boat man because he was creepy (at one point I’m pretty sure he was trying to go inside our tent and steal our stuff while we were on the hill. He simply waved and acted like nothing when he saw us watching him). A boat will cost you 5,000php ($120) for an overnight stay and an individual payment of 350php is also required to stay the night in the island. It is quite pricey so it’s best to go in a big group. The boat can fit up to 12 people. Time it takes: Manila to Nasugbu takes 2 to 3 hours. The boat ride takes 45 minutes to an hour depending on the strength of the waves. 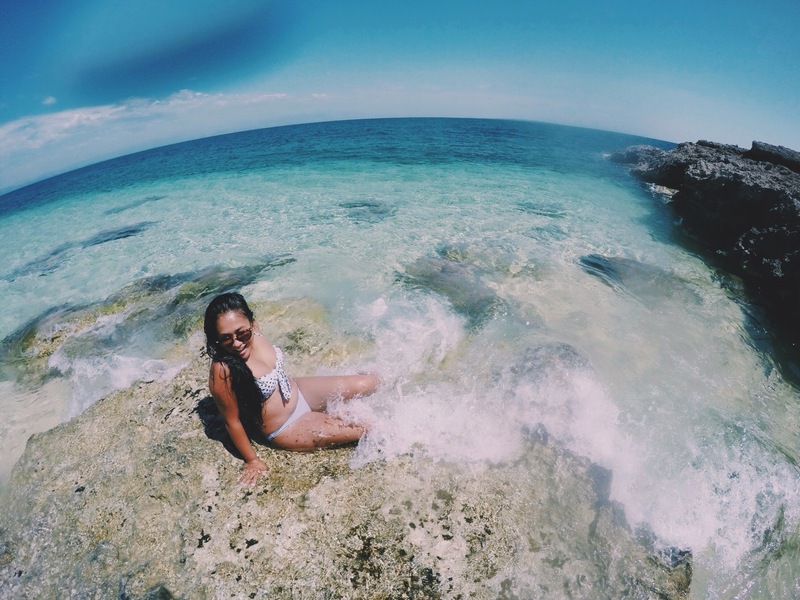 Named after it’s shape resembling a hat, Sombrero island is a little paradise in Anilao, Batangas. With a small shore, it isn’t a very popular camping site especially when people’s main agenda in Anilao is to go scuba diving. People visiting Anilao usually just go to the island on a day tour. 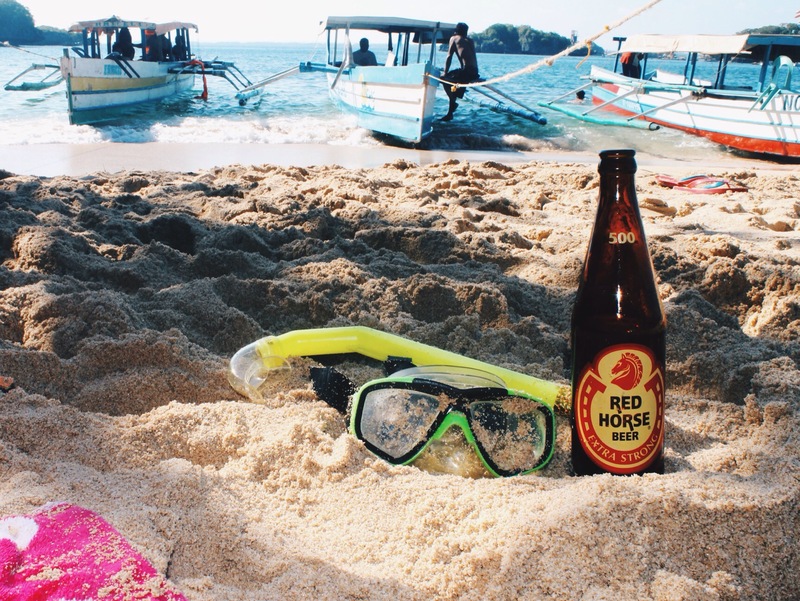 And since Anilao is popular for its underwater delight, snorkeling around Sombrero island will give you quite a visual feast as well. You can also hike to the other side of the island although I’m not very sure if there’s another beach hidden at the back. Nonetheless, it makes a beautiful camp site especially because you’d most likely have the island to yourself at night (with the exception of the caretaker, I presume). Tips: Mt. Gulagod Baboy is around the area. You can have your boat man take you there prior to leaving if you fancy a hike. How to get there: You can take a bus to Batangas port. From there, you can take a jeepney to Mabini. You can arrange a boat at the port over there. I only went on an island hopping day trip (from Tingloy) which cost around 1400 php ($31) but it will definitely be a little more than that for an overnight trip. There is also a fee to stay in the island but it shouldn’t be more than 100php. Time it takes: From Manila to Batangas port takes 2 to 3 hours. Batangas port to Mabini jeepney ride takes at least 40 minutes. The boat ride takes 30-45 minutes. This one is still a gem on the down low. In fact it’s so on the down low that there isn’t even any entrance fee required yet. Although the water isn’t completely turquoise blue, it is perfectly clear and clean. The white sand is less rockier than the first two, making it easier to walk around the island. There isn’t many available shaded area so the heat of the sun can get quite tiring in the afternoon. I still had a wonderful time camping out here. The island is a complete hidden gem. If the isolation doesn’t allure you enough, then I don’t know what will. 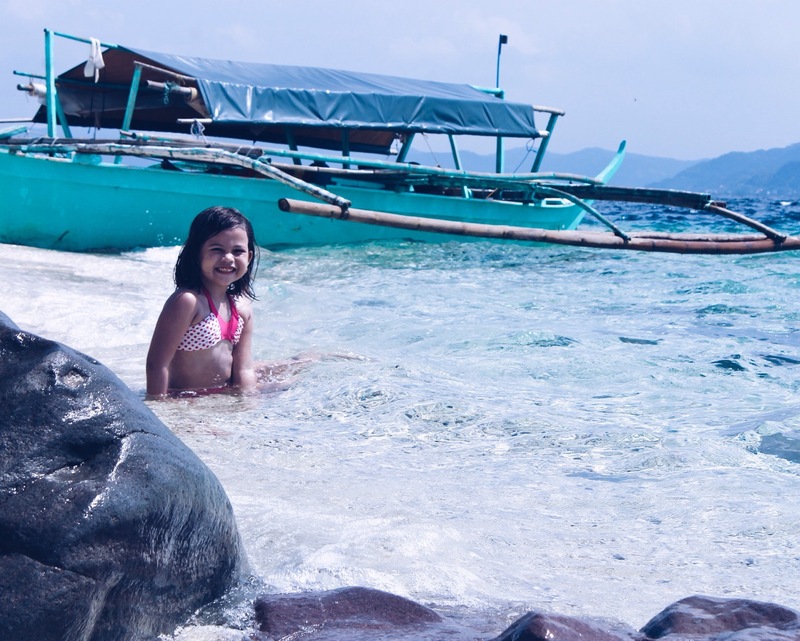 Tips: Masasa beach is only another 40 minute boat ride away from Sombrero Island. What we did was hire a private boat to pick us up at the Tingloy port (1400php) in the morning and off we went to Sombrero Island for the day. The boat fee also included a ride back to the port in Mabini. How to get there: Just like Sombrero Island, take a bus to Batangas port and then a jeepney to Mabini. Get off the port and take the public boat that goes to the island of Tingloy. The boat ticket should not be more than 80php if I remember correctly. You have an option of taking a private boat from Mabini to Masasa itself, but that would cost a lot more. Once you reach Tingloy, take a tricycle to Masasa. Unfortunately, there is a a ten-minute walk from the drop off point to the beach, so that may cause a little inconvenience if you’re carrying a lot of stuff. Expect walking through a beautiful rice field on the way there. Time it takes: From Manila to Batangas port takes 2 to 3 hours. Batangas port to Mabini jeepney ride takes at least 40 minutes. The boat ride from Mabini port takes another 40 minutes. The tricycle ride is at least 10-15 minutes. And the walk from the drop off to the beach is at least another 10 minutes. This one is probably the furthest of the five. It was quite a journey to get here, but I assure you that the blueness of the ocean and the immaculate, powdery sand will make it worth it. Snake island is an absolute epitome of a hidden jewel. It’s a small island with not much to explore, although the rock formations makes an impeccable spot for photos. There is also another beach at the back of the island, though not entirely as nice as the front beach. There are no caretakers here which will make camping feel like you’re completely away from the rest of the world. But isn’t that the whole point of camping in an island? Tips: Apparently, we missed out on some pretty cool activities around the area. Besides the charming little village where Tambobong beach is at, there are other islands you can visit such as Crocodile island. There’s also a sunken ship that you can snorkel at. How to get there: As I’ve said, it’s quite a journey. From Manila, take a bus bound to Alaminos, Pangasinan. Getting off at the terminal, find a bus that goes to Sta. Cruz. I was told that they arrive every half an hour. Tell the conductor you’d like to be dropped off at Burgos market and once you’re there, find a tricycle and negotiate for a reasonable price to be dropped of at Tambobong beach. At Tambobong beach, you can ask almost anyone there for they would gladly refer you to someone who can take you to the island. We rented a boat for a day trip only and that cost us 800php ($18). As usual, expect to pay more for an overnight trip. Time it takes: Manila to Alaminos takes 4-5 hours. Alaminos to Burgos market takes 30-40 minutes. The longest and most dreadful part of the journey is the tricycle ride from the market to Tambobong beach because the road is quite rocky so expect a bumpy hour long ride. The boat ride takes only 30 minutes. 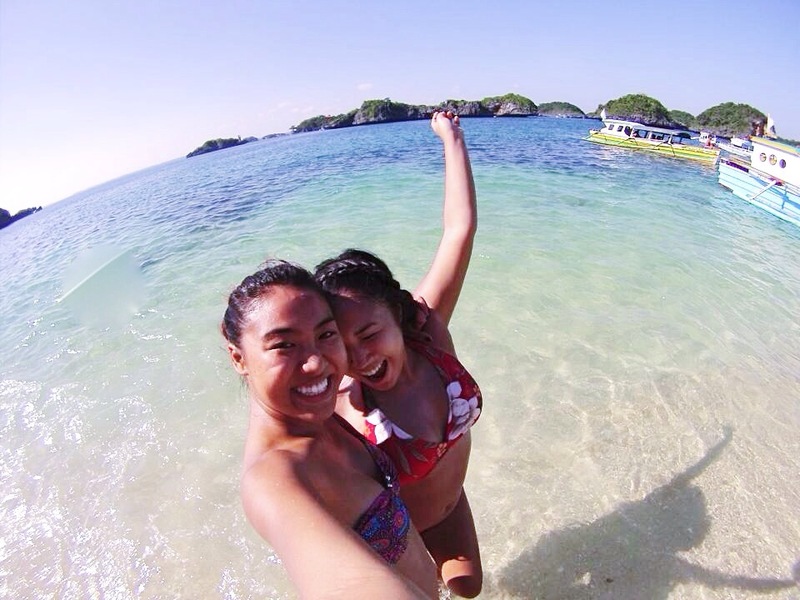 With 100 islands to choose from, Hundred Islands offers a variety of clean, beautiful beaches that are available for camping. Despite the fact that it is quite the tourist destination, privacy wouldn’t be too hard to find because come on…you’ve got literally a hundred islands to choose from! You can spend the day island hopping before you settle down on your preferred camp site, since the entire national park has a lot to offer. Tip: There’s a small cave in Marcos island that you can cliff jump at, while other islands offer ziplining and kayaking. How to get there: From Manila, take a bus bound to Alaminos, Pangasinan. Find a tricycle to take you to Lucas Wharf. An overnight fee of 40php ($1) will be charged per person. Boats ranges from 1400php-2000php depending on the group size. Time it takes: Manila to Alaminos takes 4-5 hours. So what are you waiting for? 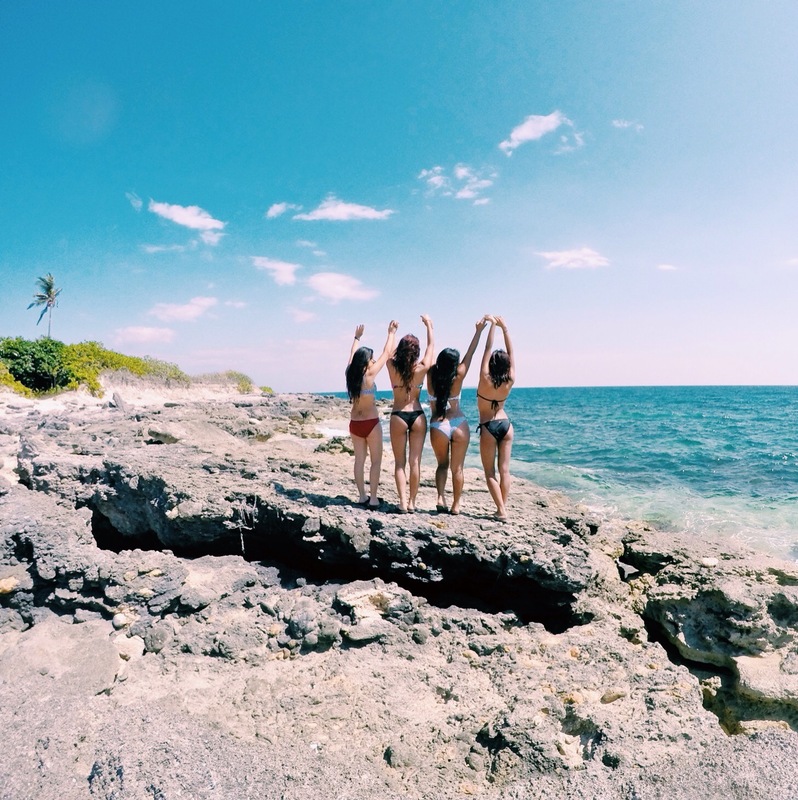 Gather up your adventure club members, get to planning, get your camping gear and beach wear ready, and camp or throw a private party in one of these islands! Just please do mind the trash you’re leaving behind. Nothing is more saddening than beautiful places being trashed by travelers. 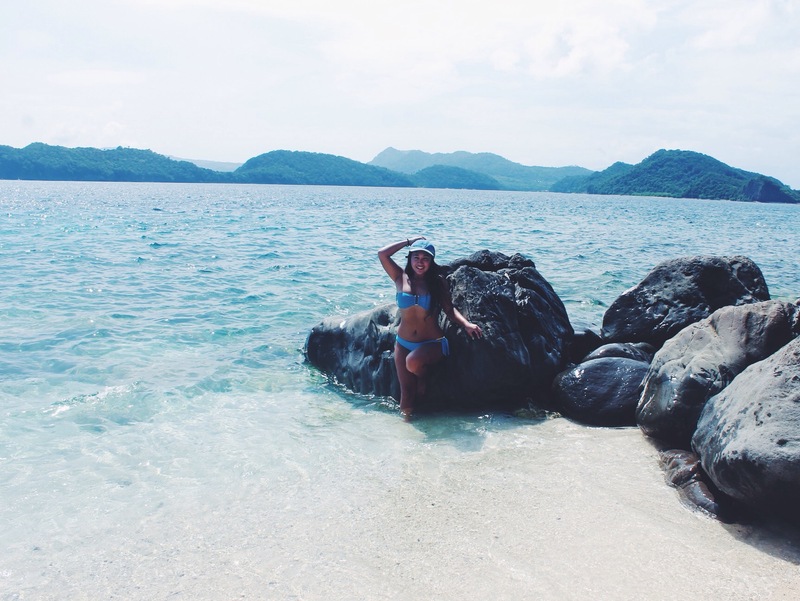 Do you know any other beautiful islands near Manila than you can camp at? Do let me know, please, because I’m always down for a new island adventure. Love this article… Good job girl! but apart from that, I really feel like going on holidays to all those islands right now!! I love camping! Your pictures are gorgeous. I would love to visit all of these places someday!! OMG! How wonderful pics! I’ve never heard about these places before, thanks for sharing. I love camping, but can’t say I have ever been camping anywhere near as beautiful as these spots!! Thanks, Alyssa. Camping is fun regardless. Those islands look stunning! Definitely worth the journey to get there, especially if it means you get a beach all to yourself. Exactly my concern! Nothing like having it all to yourself. Wow such beautiful islands, the color of the sea is just stunning and I want nothing more right now than to visit the Philippines. Would you say the country is safe for females traveling solo? This are just the ones close to the city. Imagine the ones that are in remote areas 😍 Except the southernmost provinces in the Philippines, most areas are generally safe for solo female travelers. I’d give it a 3.5/5. I’m completely fascinated by Fortune Island, how intriguing! I will put it on my list if I ever get to Manila! I was in awe the instant I saw the shore from the boat! Wow, what a stunning country the Philippines is. The more I see the more I know we must visit. This would be so much fun! It really does have a lot of gems. Still off the beaten path too!